Earlier in September, eBay announced that a “new eBay” was coming, teasing the audience with a logo rebranding to reveal a slimmer, more modern take on what used to be a clunky, bulbous design. 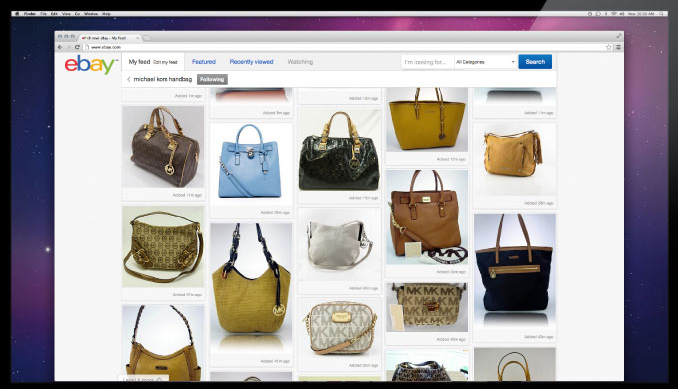 Today, eBay takes the next step in unveiling a site overhaul that shows off a Pinterest-like grid interface to help shoppers browse more comfortably and more visually. 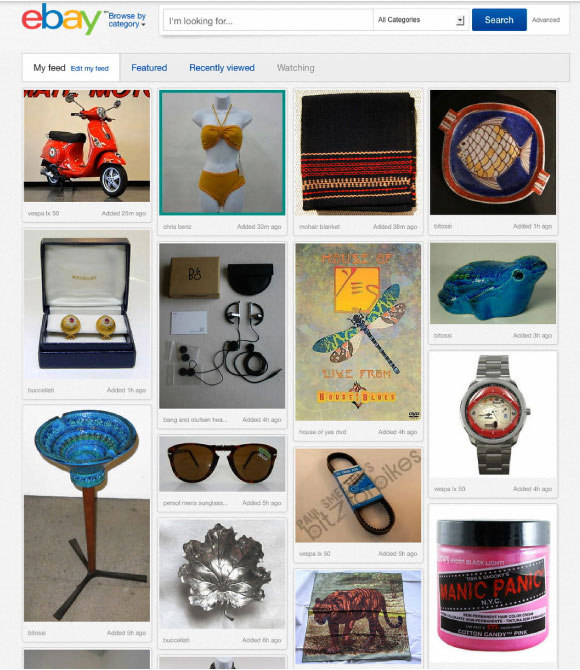 The “old” eBay allowed shoppers to view search results in a list or grid view, with price, auction end date, and Buy It Now options either lining the right side of the screen or hidden in grid view. The new design is tailored to be more mobile friendly, allowing for larger photos and fitting more listings in one page without having to scroll through search results. The redesign is even more helpful for shop owners, as they can have a prettier place to display all the items being auctioned off while their star ratings are located promptly at the top of their profiles to offer credibility. Furthermore, eBay users can view a feed of watched items, featured, recently viewed, or “My Feed,” which showcases a grid of things you’ve chosen to curate under your profile. This way, even if you aren’t selling the item yourself, you can promote your customers to a list of products they might like based off purchases they’ve made from your store before. 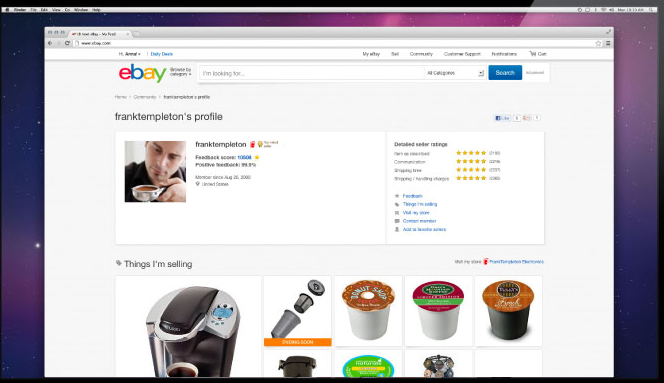 EBay joins Facebook in revealing a Pinterest-ified e-commerce element this week. The social network recently unveiled its Collections feature, a brand-facing tool that gives retailers a visual, pinboard-formatted way to show off their goods. The mechanism also introduced “Collect” and “Want” actions to Facebook, giving users the ability to create wishlists and show off their purchases, as well as click-through buying power. And, of course, it all looks incredibly similar to the site that really ignited the social shopping craze — Pinterest. The hype about its profit-turning power has been enough to get e-commerce hopefuls mimicking its design. The more contemporary, clean eBay interface is slated for launch in the upcoming weeks stateside, while a global launch should be anticipated by the year’s end. It’s definitely eBay’s answer to being more intuitive, and making shoppers spend money faster in an Amazon-like fashion. If you’re already an avid eBayer, the redesign might make it that much more appealing for you to keep auctioning the things you want and want to sell, but it’s still going to be tough to compete with the hoards of loyal Amazon users.